It has been a busy two months for Rob Gronkowski. Since the Patriots won the Super Bowl, Gronk has danced, played dodgeball at a minor league hockey game, danced some more, spiked a bunch of random things, filmed a movie and even took the stage at a music festival. 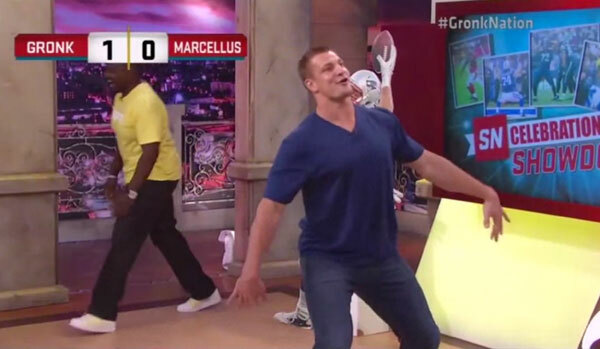 The fun continued on Tuesday when the Patriots tight end appeared on ESPN's SportsNation and imitated some of the best celebrations by his NFL brethren (the Von Miller Rooster Dance is epic). He then lost a game of Flip Cup and tore up the show's set. Wonder if this will be included in his new autobiography. As Rex Ryan adjusts to life in Buffalo, his pickup truck has become one of the city's top attractions. In the past week, it's been spotted at Buffalo Wild Wings and Walmart, which are two places I definitely wouldn't be surprised to see Rex Ryan. I have a feeling the Bills will love playing for their new coach. They can even show up late for practice with no consequences! The hottest WAGs of this year's tournament. Michelle Pieroway is a model who should be on your radar. Follow her on Instagram. You won't be sorry (click here for full-size gallery). The Atlanta Hawks signed 8-year-old Lake Bozman, who has Acute Myeloid Leukemia, to a one-day contract. 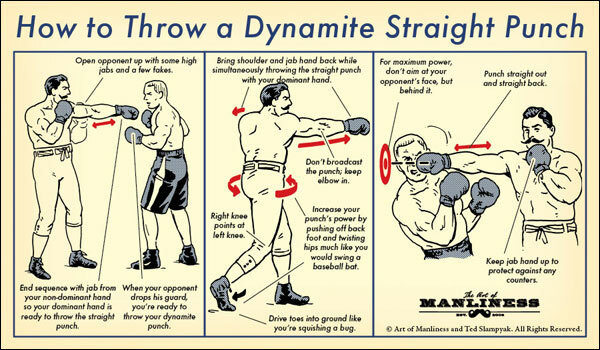 If you've ever wondered how to throw a dynamic straight punch, survive a bear attack or walk like a ninja, this is the link for you. The Nationals' Rally Baby was the star of Opening Day ... This is how you purchased an NHL jersey in 1965 ... The Chicago Tribune is looking to change the Cubs' victory song ... This sixth grader won ESPN's Bracket Challenge and will receive a trip to the 2015 Maui Invitational and a $20,000 Best Buy gift card ... One Direction star Niall Horan will caddie for Rory McIlroy at Wednesday’s Masters Par-3 Contest ... The Bucks are proposing a $1 billion arena package in downtown Milwaukee ... Suns guard Eric Bledsoe was ejected after arguing a call that went in his favor ... Oakland University's new basketball court is terrifying ... This Kentucky fan got a large tattoo of Willie Cauley-Stein on her leg ... Rough day for this Drexel University law professor ... A 21-year-old girl made her boyfriend take a Beyonce quiz ... Science says fast food is good after a workout. A Mariners fan uses her tub of popcorn to snag a foul ball. MLB.com was nice enough to put all of Monday's round-trippers in one handy video. I really wanted to embed this video of Bronson Arroyo singing Jeremy but the user has a private account. So you'll have to settle for the next best thing -- Eddie Vedder singing Jeremy. Louis CK shows off his Jerry Seinfeld and Jimmy Fallon impression during an appearance on The Tonight Show. Click here for previous versions of Hot Clicks and visit our Extra Mustard Page throughout each day for more offbeat sports stories and a gallery of the Charlotte Hornets Honey Bees dance team.